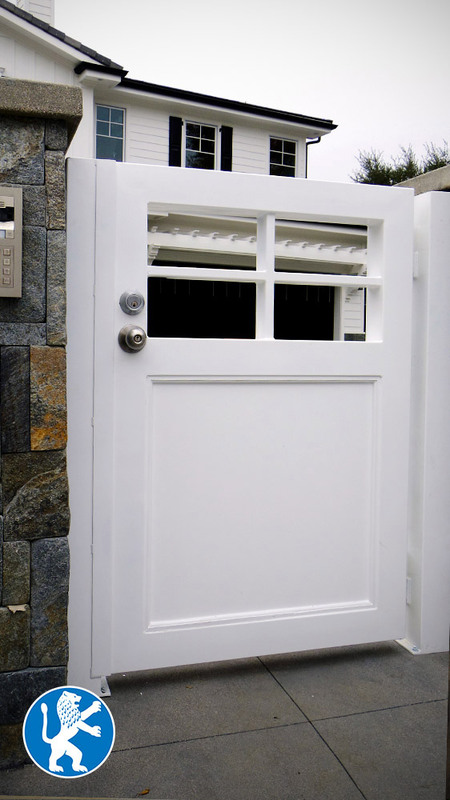 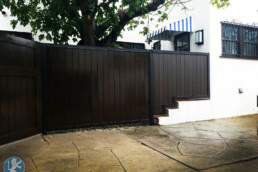 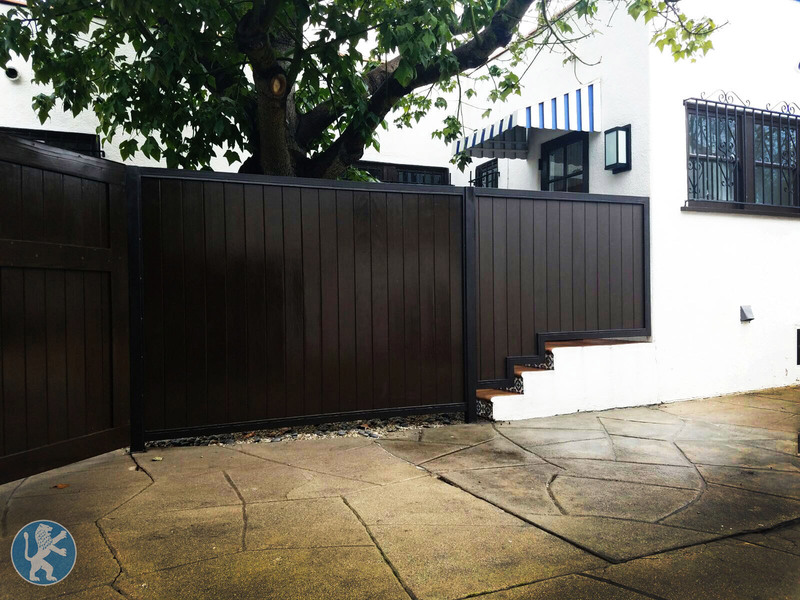 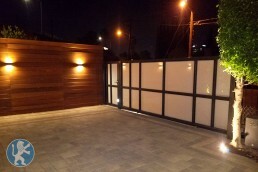 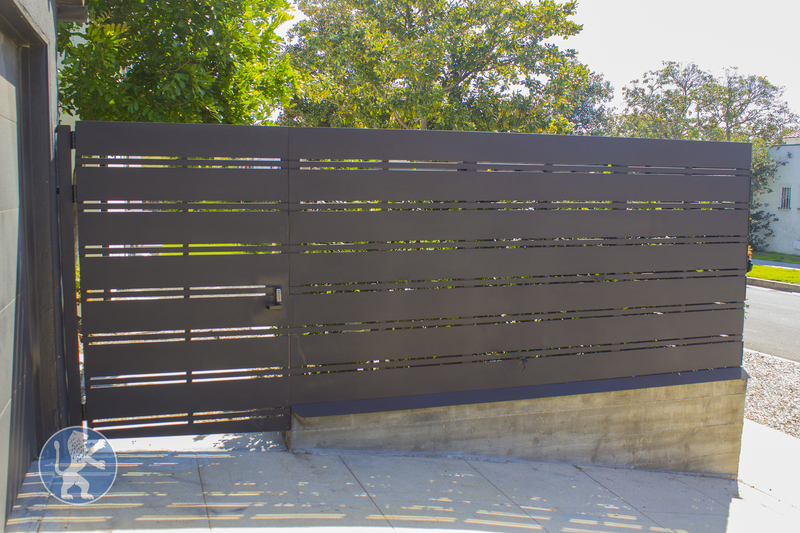 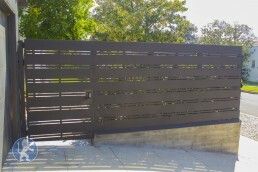 Fencing - Perfect Garage Doors & Gates, Inc.
Gallery | Modern, Traditional, & Custom designs. 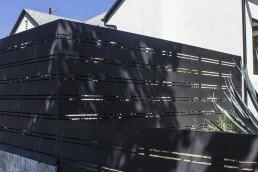 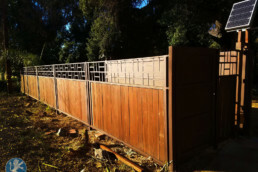 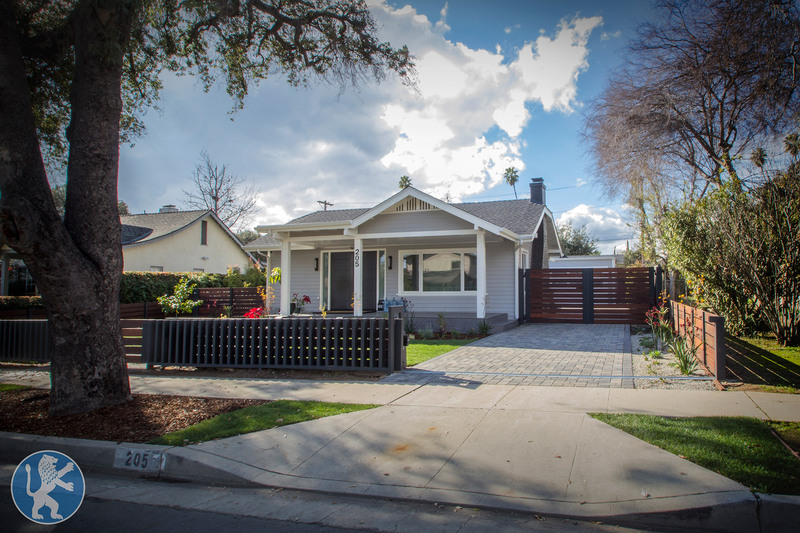 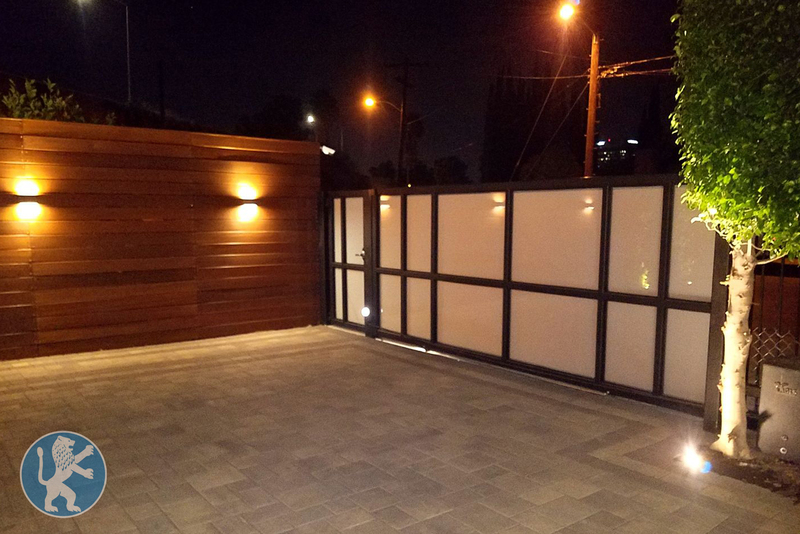 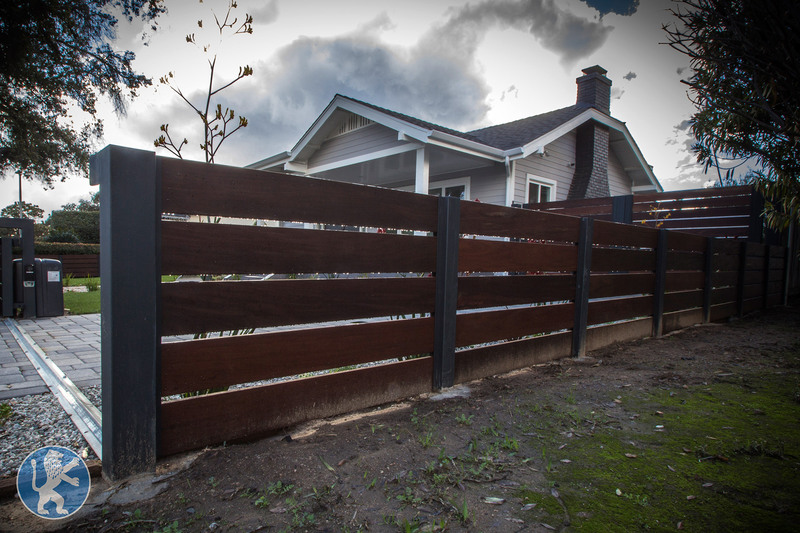 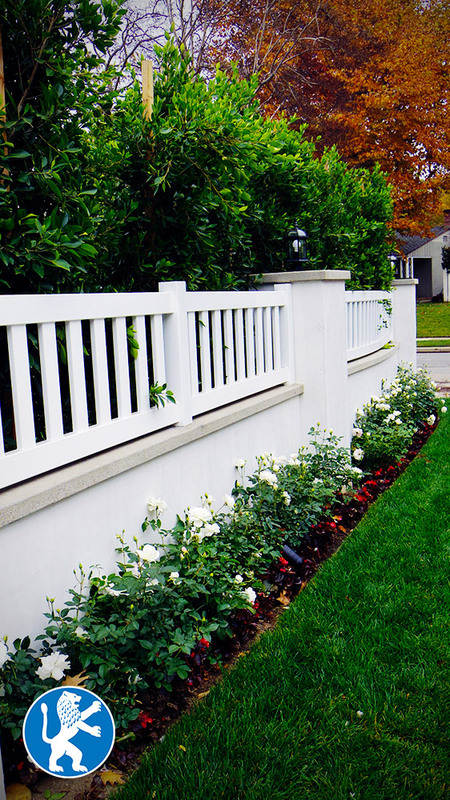 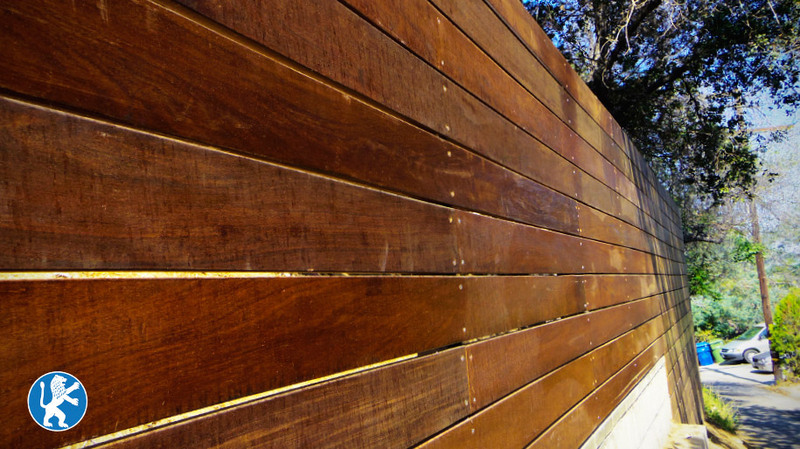 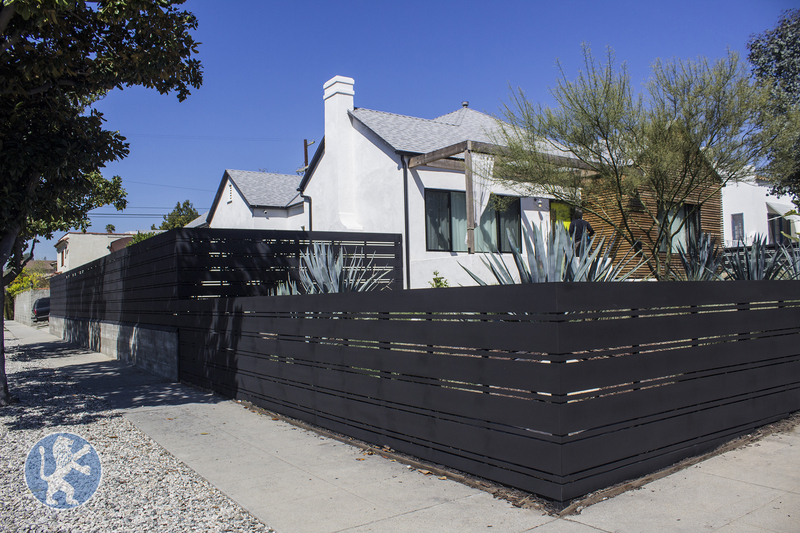 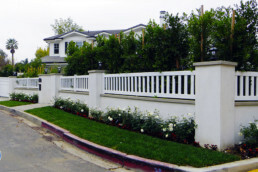 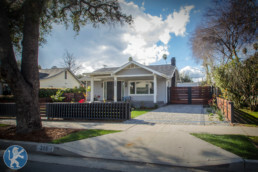 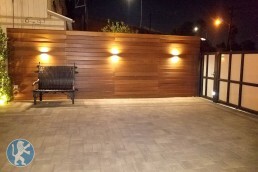 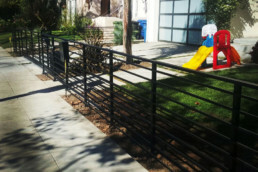 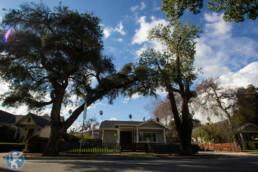 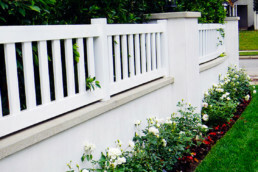 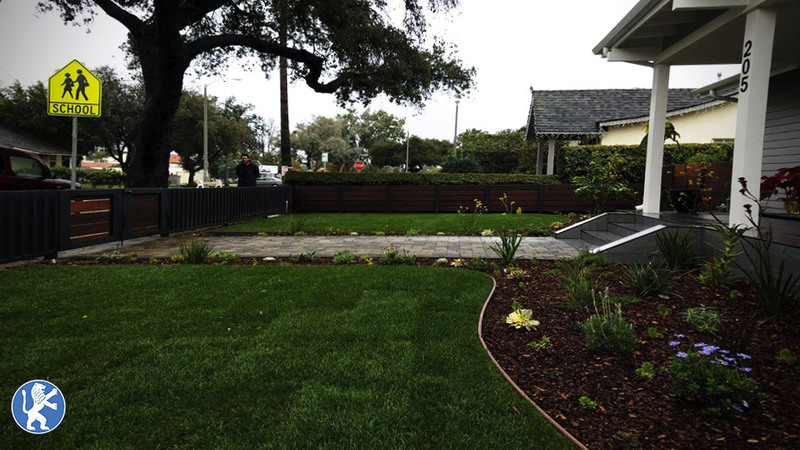 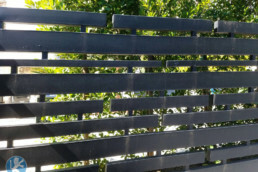 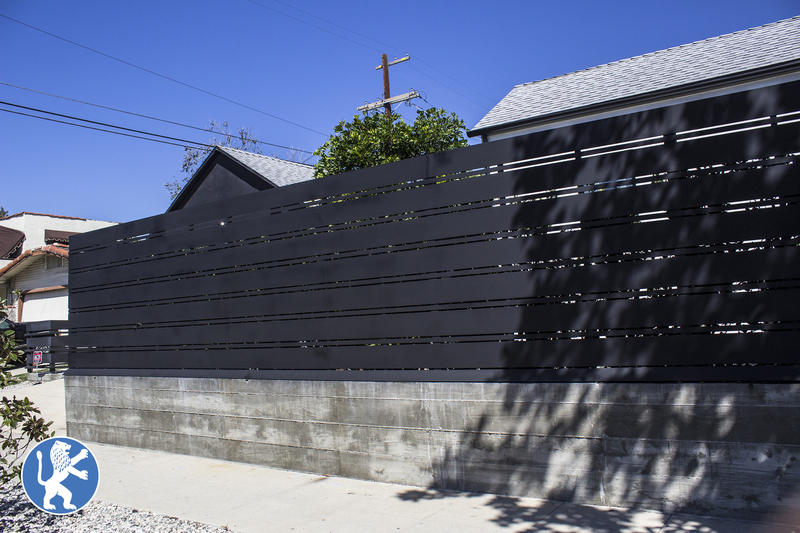 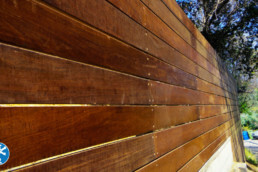 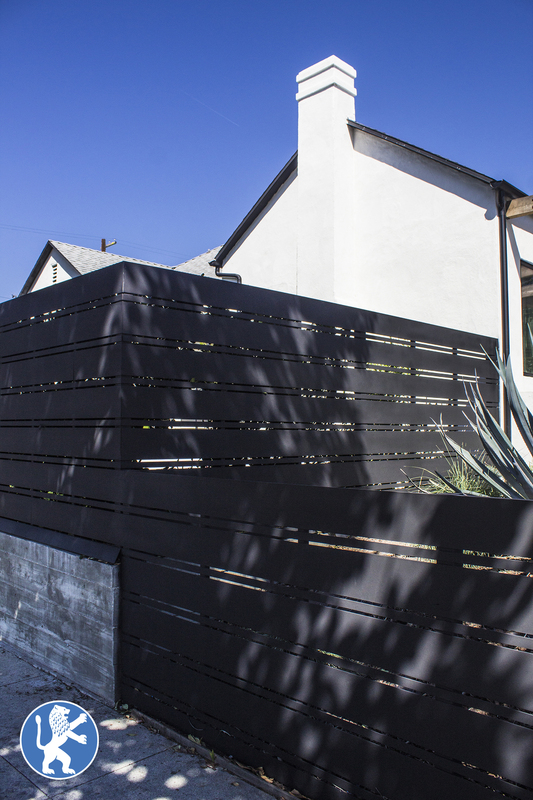 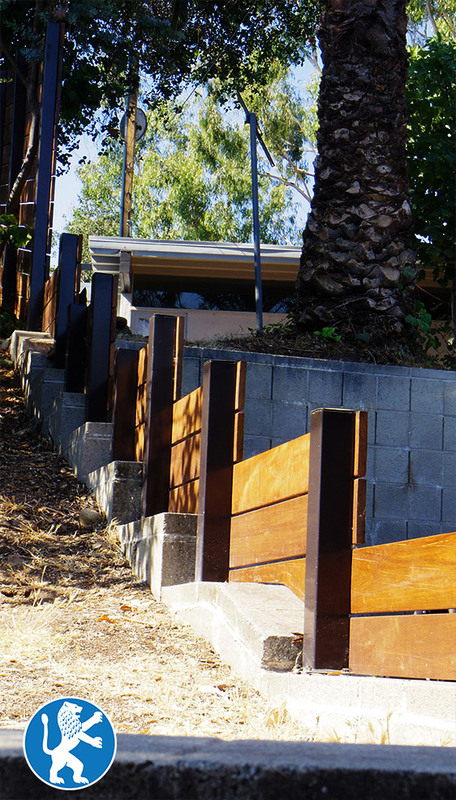 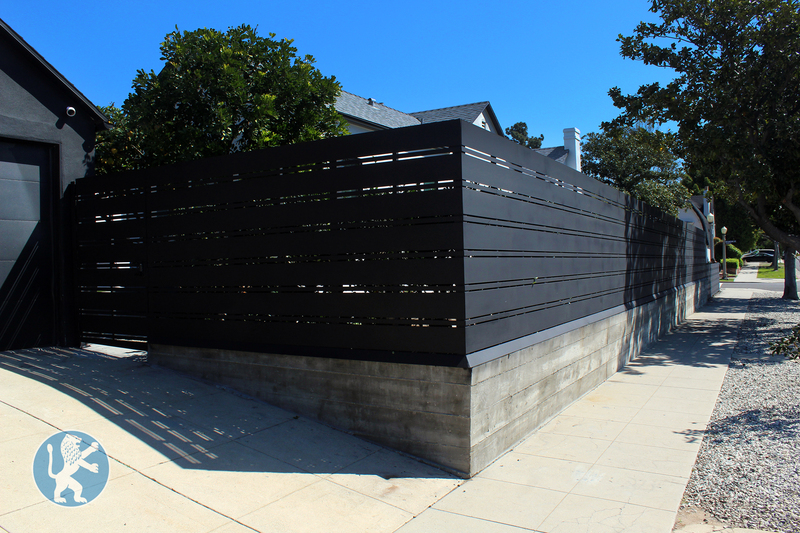 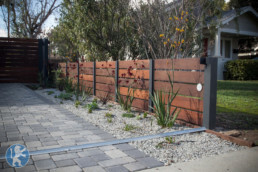 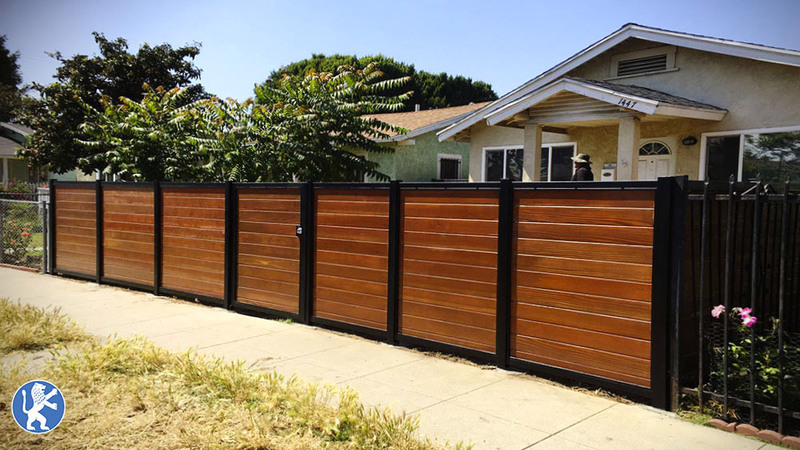 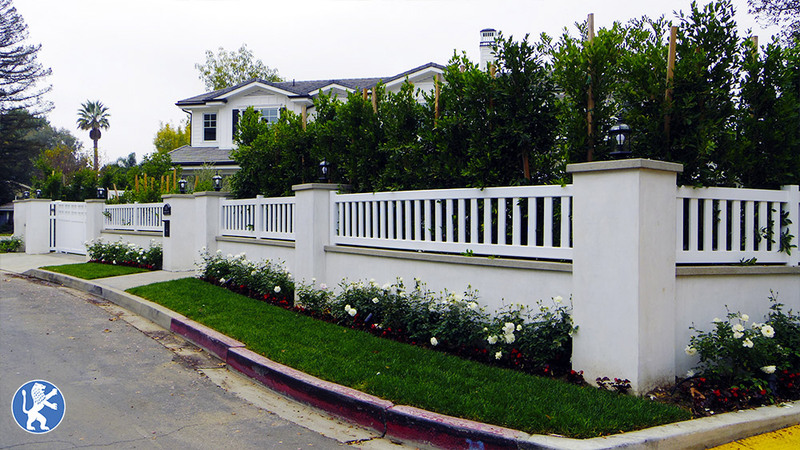 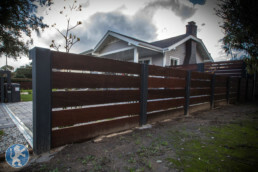 Fencing in made in a variety of materials all over Los Angeles county, everything from Maple wood, Redwood, Iron to Glass. 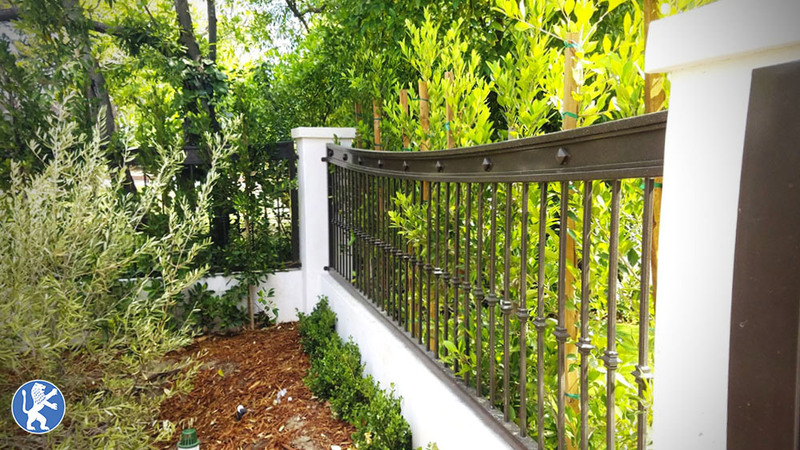 French Country Design Iron Fence with Pillar Post. 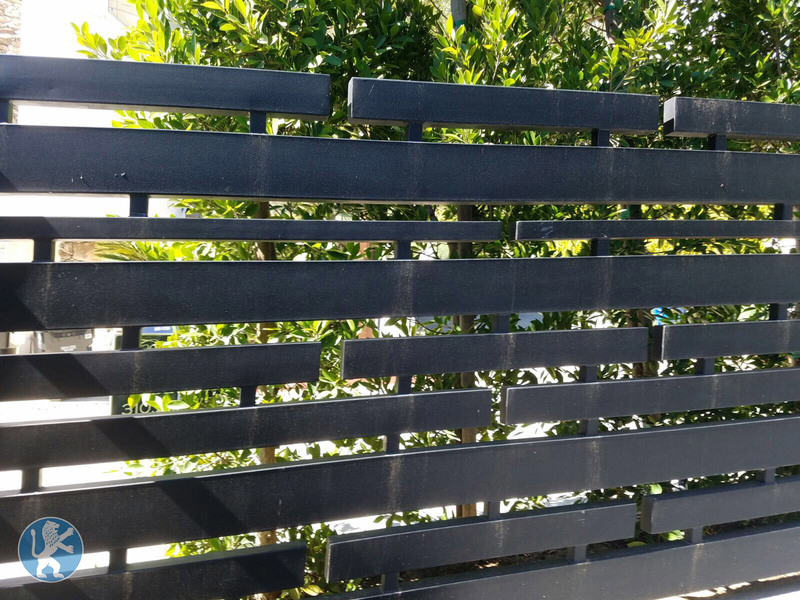 Powder Coating black color to make a statement and be a nice compliment to the home. 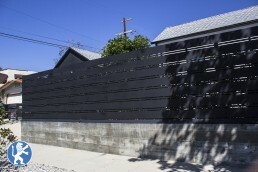 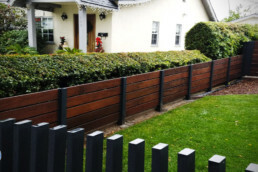 Solid Vertical Design Wooden Fence for privacy. 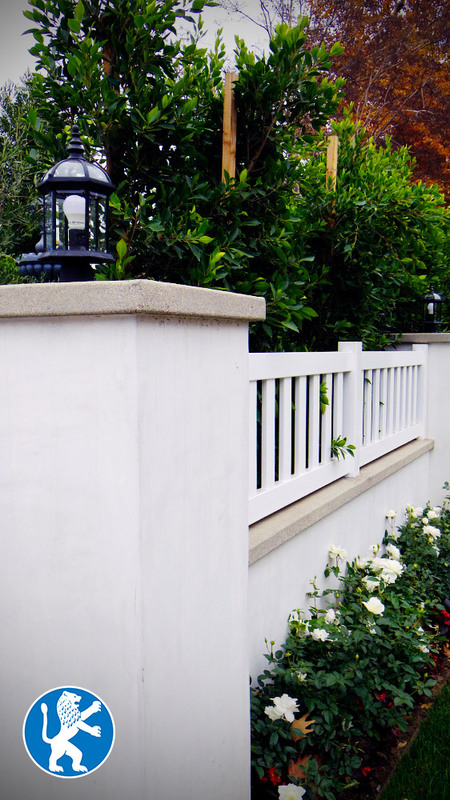 Primed and Painted to match the style of the home. 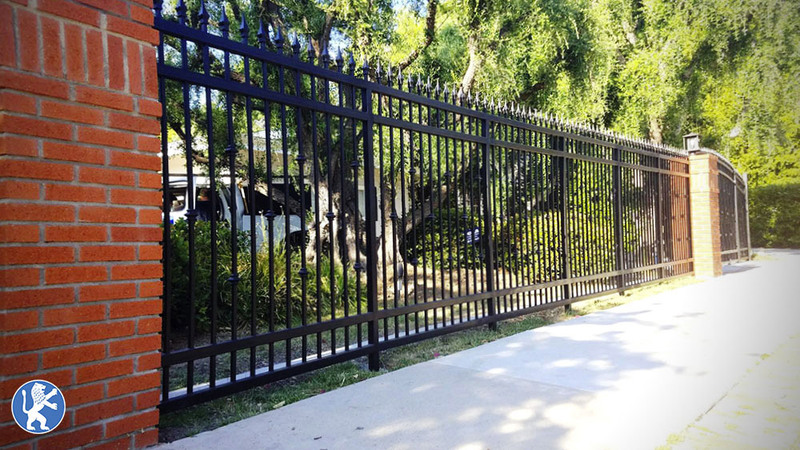 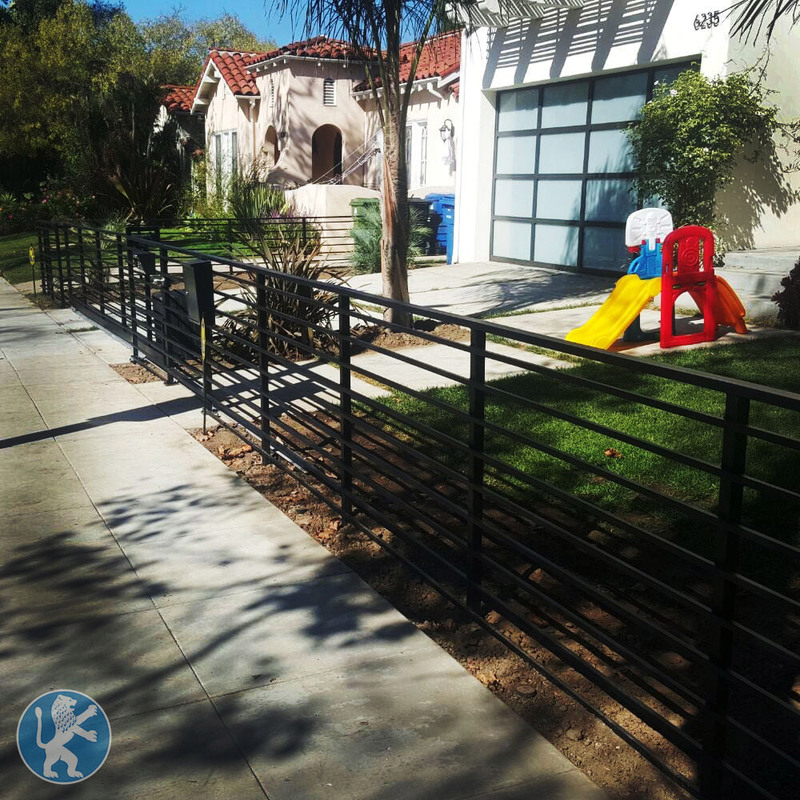 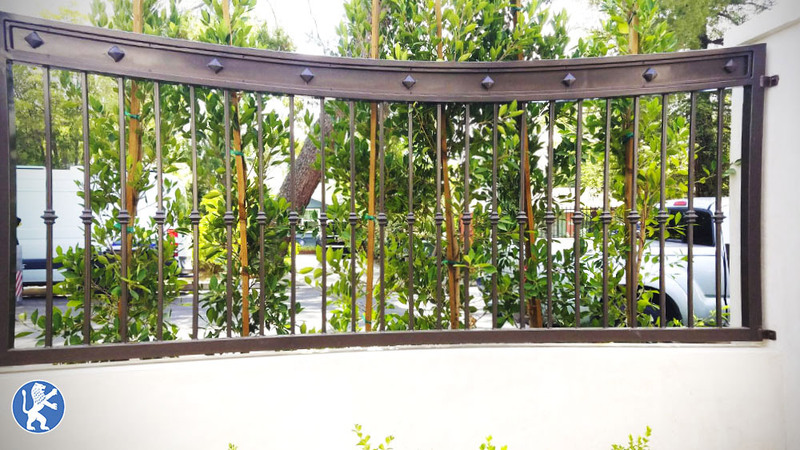 Wrought iron fence with a moder twist, horizontal bar design, powder coated in a black color. 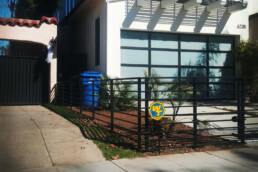 Modern Iron Fencing- Powder Coated for easy maintenance. 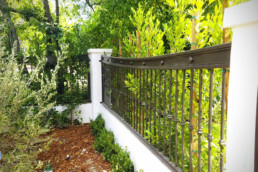 Wrought Iron Fencing on top of block wall. 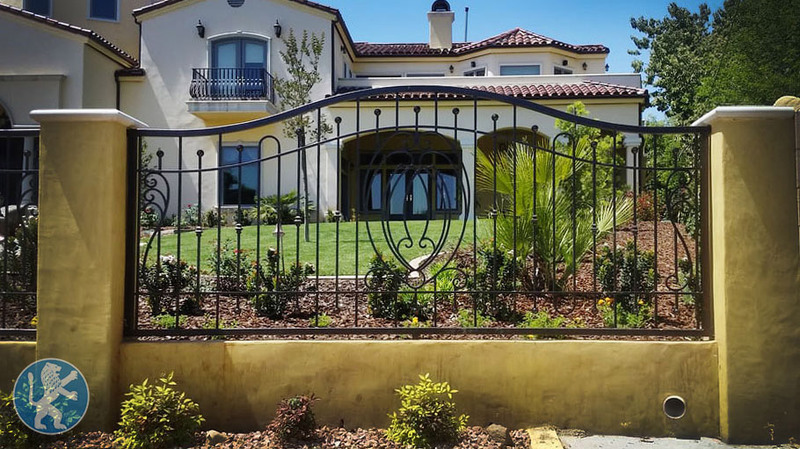 Ornamental design to match the driveway gates. 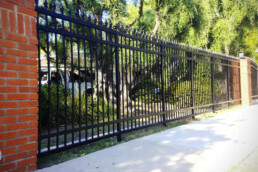 Classic English style wrought iron fence with a small pedestrian gate. Painted black to match the decor of thehome. 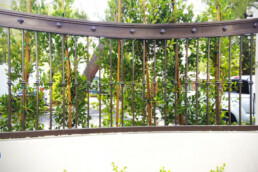 Iron Frame with Redwood in the center, Vertical design, painted to the customers preference. 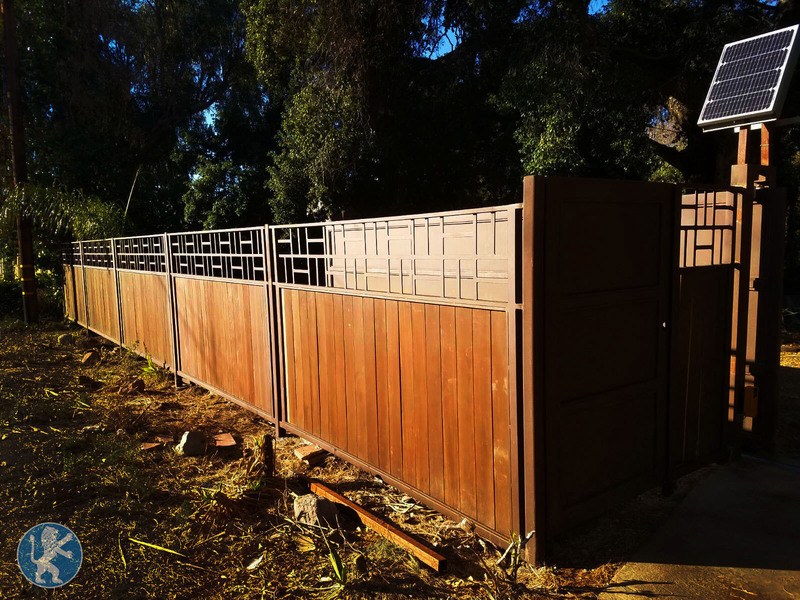 Oriental Ornamental Top first foot of a Vertical Design Redwood Fence. 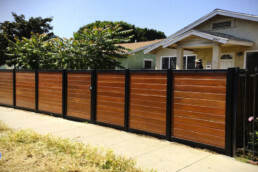 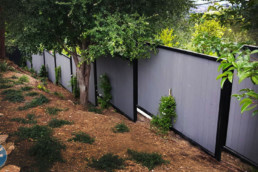 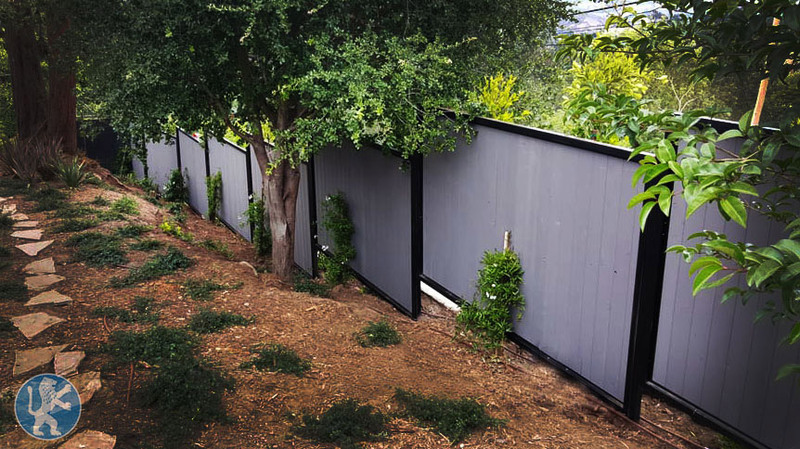 Wood and Iron Mixed Horizontal Design Fencing, solid look for privacy. 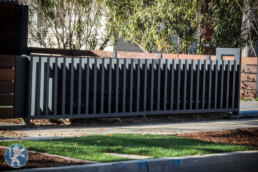 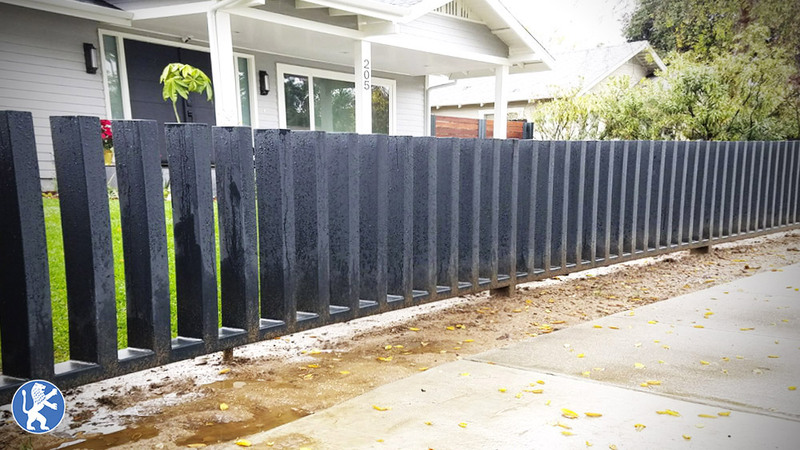 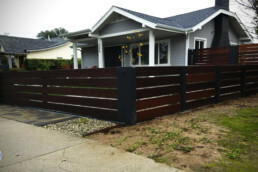 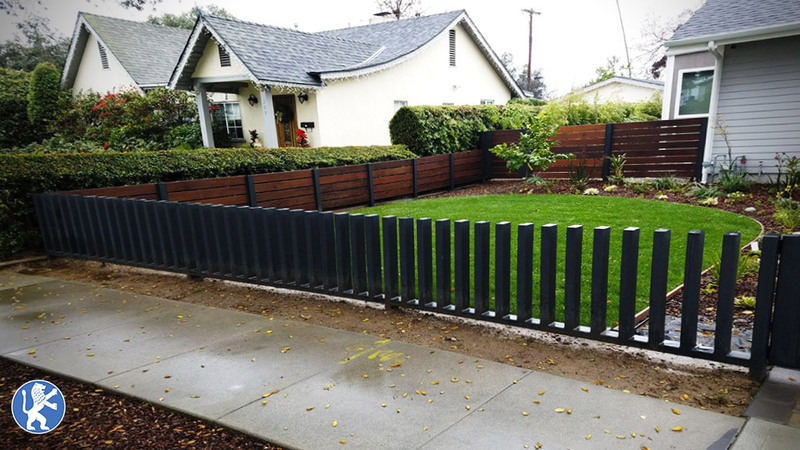 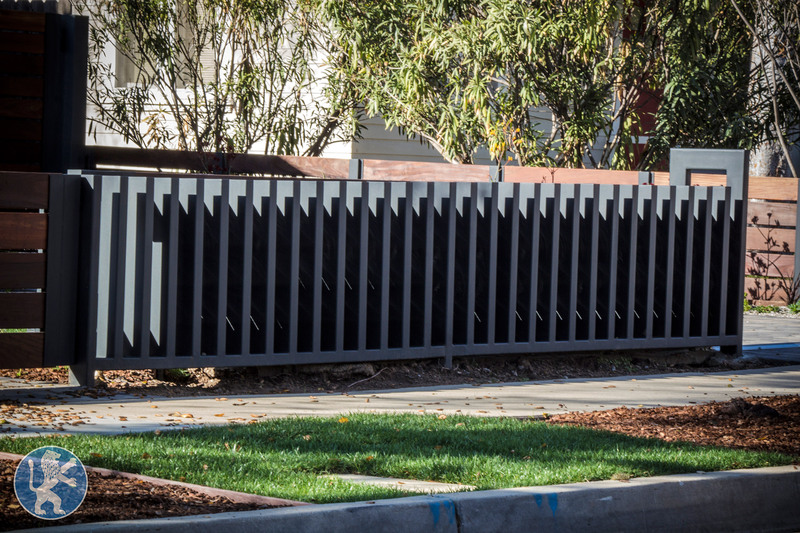 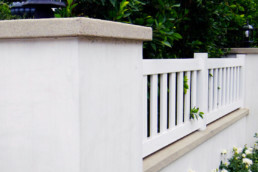 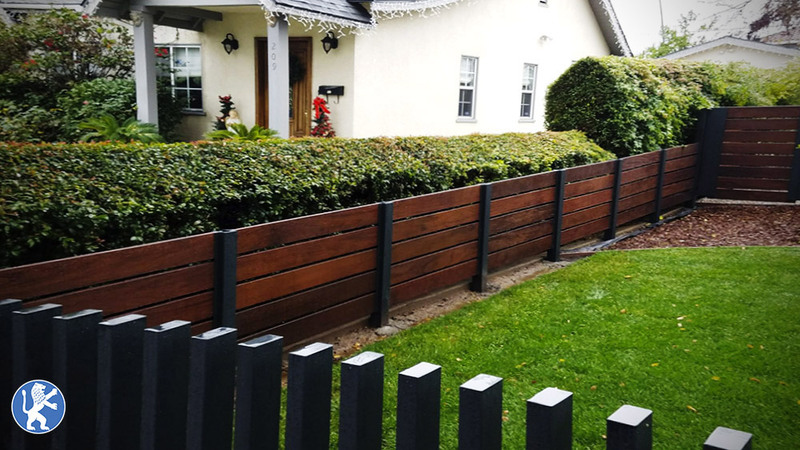 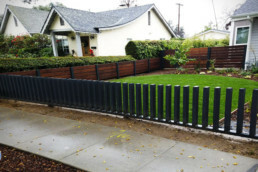 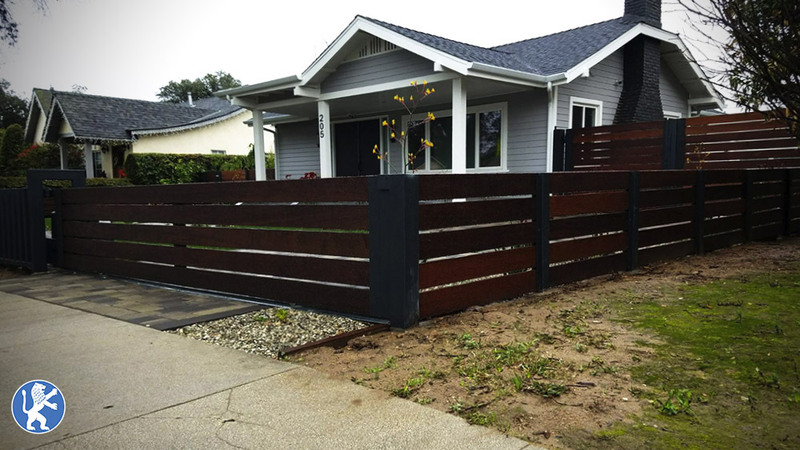 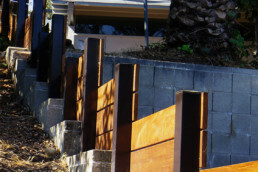 Horizontal Design Redwood fence with Iron Post every 5ft. 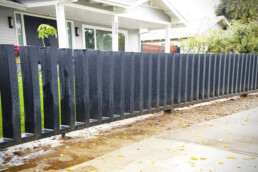 Modern Minimalistic Iron Driveway Gate powder coated for extra durability. 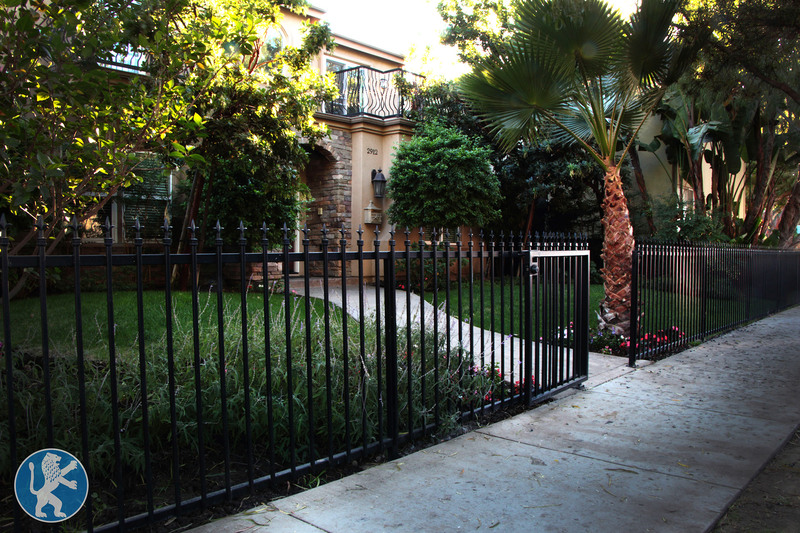 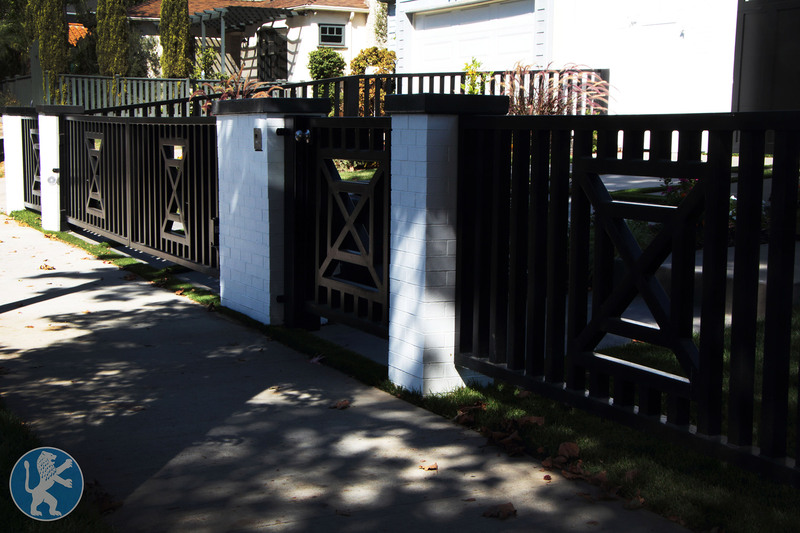 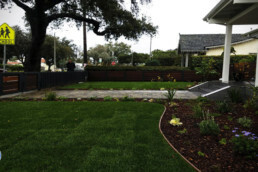 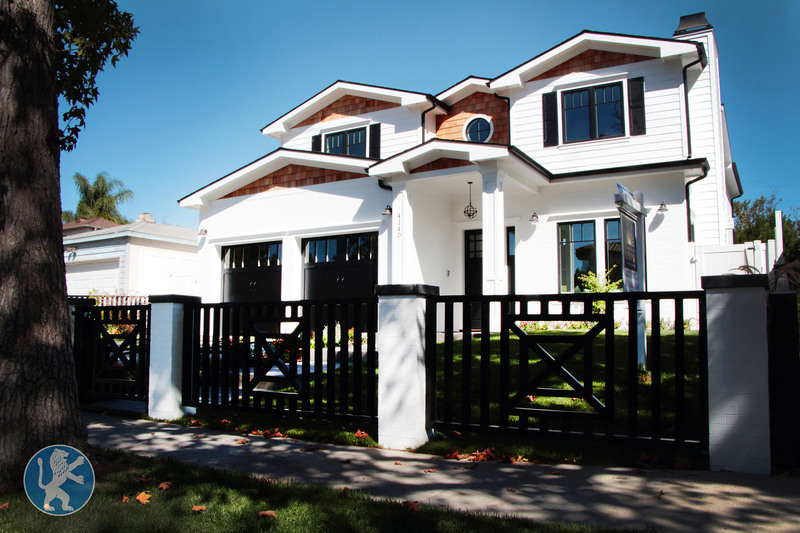 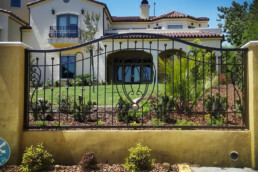 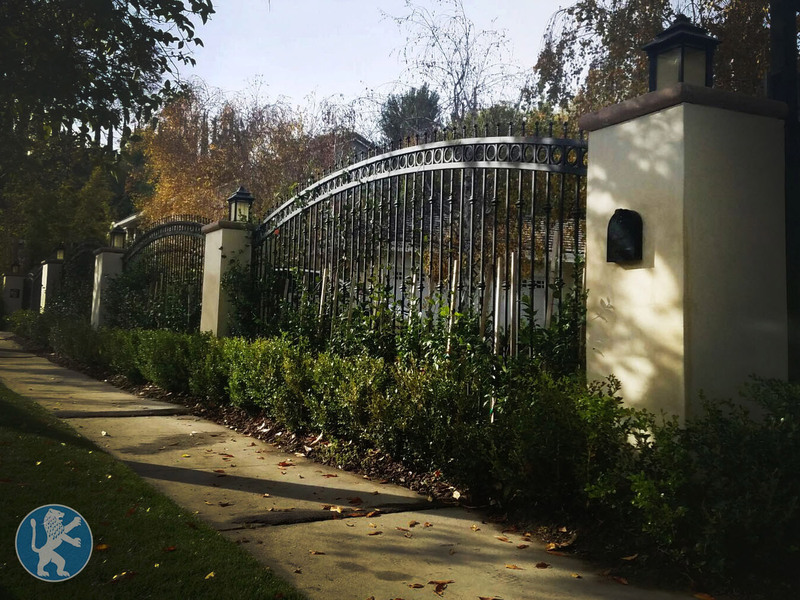 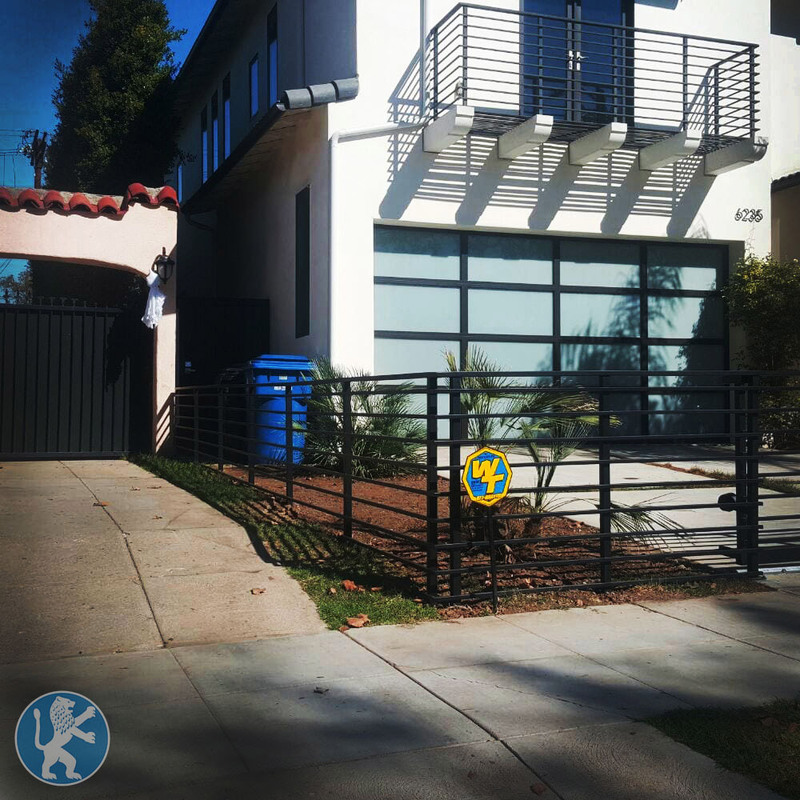 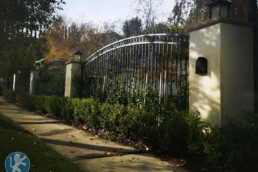 Wrought Iron Fencing – Modern Ornamental design to match the driveway gates. Classic wrought iron fencing with decorative rings and spears on top. 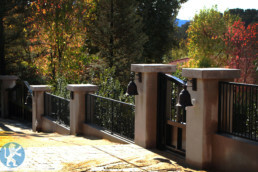 Decorative Iron Fencing with lowered arch and decorative elements on top of a masonry wall.